Previously, we discussed how to use Wi-Fi module with Arduino and Arduino 4 channel relay. Making them working togather with smartphone not that easy. Bluetooth is Easier Than Wi-Fi From Programming Aspect To Build Wireless Electrical Switch. Here is Part I of The Arduino Bluetooth Remote Control Tutorial. There is another application named BLE Scanner. Both of them are useful in testing and development. You should try to buy genuine HM-10. Install BLE Scanner App on Android mobile phone and scan. You will get the module. Default passcode to pair usually something like 123456789 or 0000000000 (9 zeros) or 111111111 (9 ones). After getting paired, you will get a list of services of the module. The last on the list will be “custom service”. On the custom service menu, there will three icons bearing the letters R (Read), W (Write) and N (Notify). Tap the W icon, type the text and send. The sent text will appear on the serial monitor. In this way, you can print data on LCD display too. Many of the new readers, users noticed that AT commands used for these devices. AT commands in short is just sending command from the serial terminal. Next, we will control LED from the Android Smartphone. 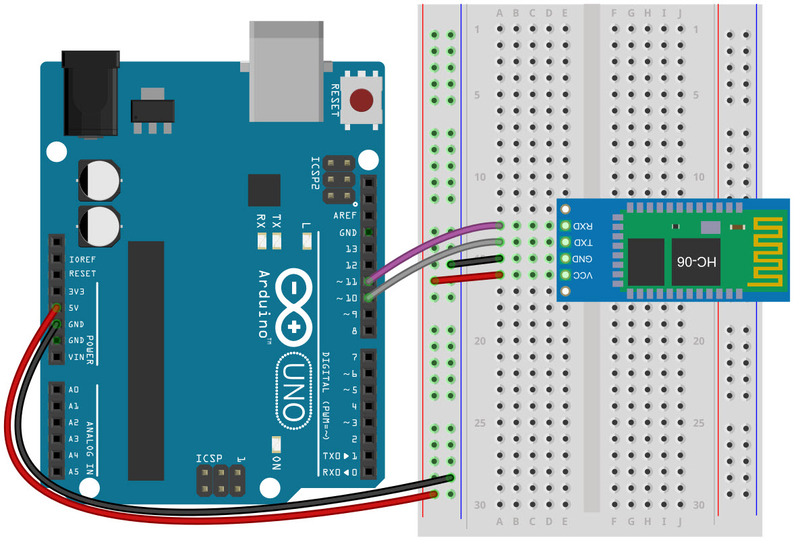 Arduino already has a led at pin 13, so it is optional to connect the LED on breadboard with pin 13. This is the first part of the guide to get used around controlling DC operated device, like LED. Next guide will be on integrating the relay to control a test AC bulb. This Article Has Been Shared 8528 Times! We Can Use the On-Board ADC to Convert Number Between 0 and 1023 Rotating Shaft. Here is How to Make LED ON One at a Time Using a Potentiometer With Arduino. Common Example of Arduino is To One LED. We Can Make Arduino To Blink Two LEDs Alternatively in Various Ways of Coding. Cite this article as: Abhishek Ghosh, "Arduino Bluetooth Remote Control Tutorial : Part I," in The Customize Windows, December 2, 2018, April 21, 2019, https://thecustomizewindows.com/2018/12/arduino-bluetooth-remote-control-tutorial-part-i/.